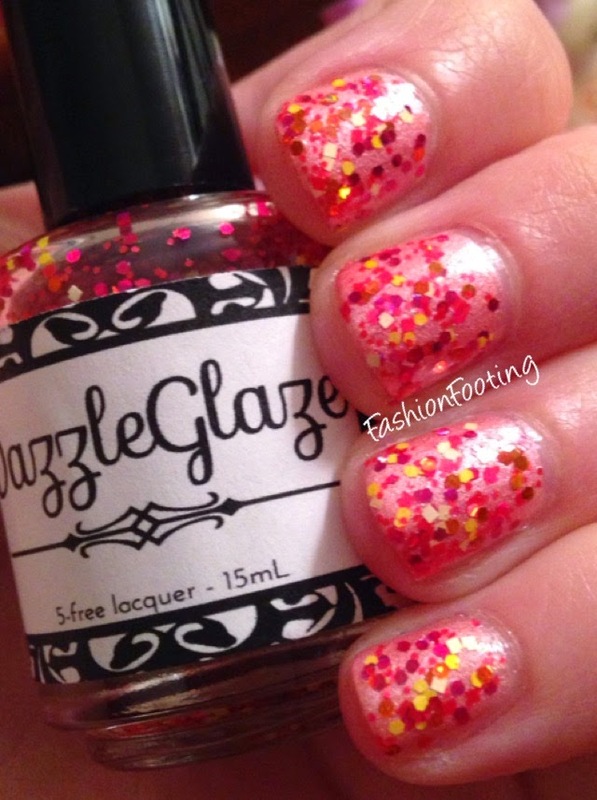 Fashion Footing: DazzleGlaze Swatches and Review! 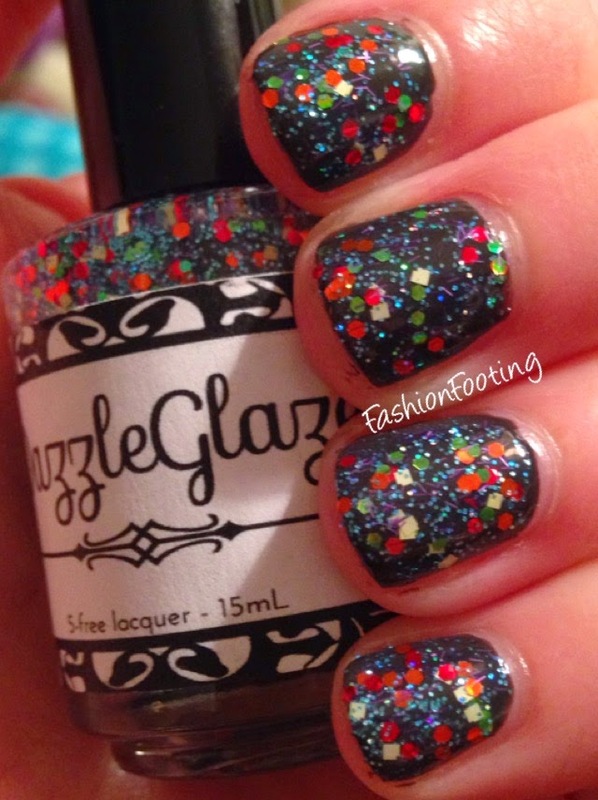 I have 3 polishes from a new to me brand, DazzleGlaze!! I will warn you... I have polish nubs right now :-/ Womp Womp. Sorry! Sparkle Eyes is a baby pink frost with white flecks throughout. At first application, I thought "this is the frostiest polish of life!" as I am not usually one for frost finishes and then I saw that it was inspired by 1991 Sparkle Eyes Barbie and that made perfect sense! I used two coats, it had a nice formula and didn't drab or pool. Fruits of Jamaica over Sparkle Eyes. 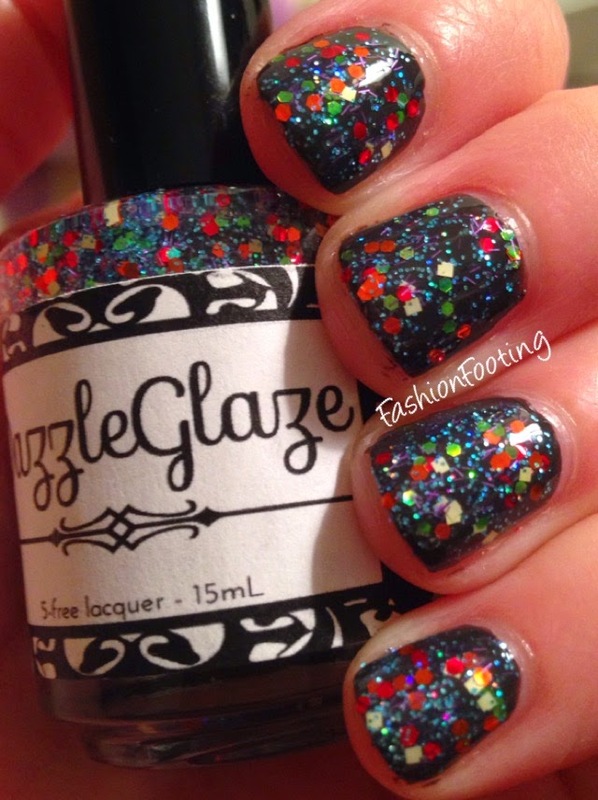 Both glitters that I tried from DazzleGlaze were very densely packed. I used one coat over Sparkle Eyes and two coats of HK Girl Top Coat, to keep it nice and shiny and smooth. Hot & Hectic over NCLA Model Behavior. Again, a very dense glitter and I only needed one coat over NCLA Model Behavior. I did use two coats of top coat, again. I was very impressed with the density of the glitters. I love when a glitter looks packed in the bottle and actually applies that way! 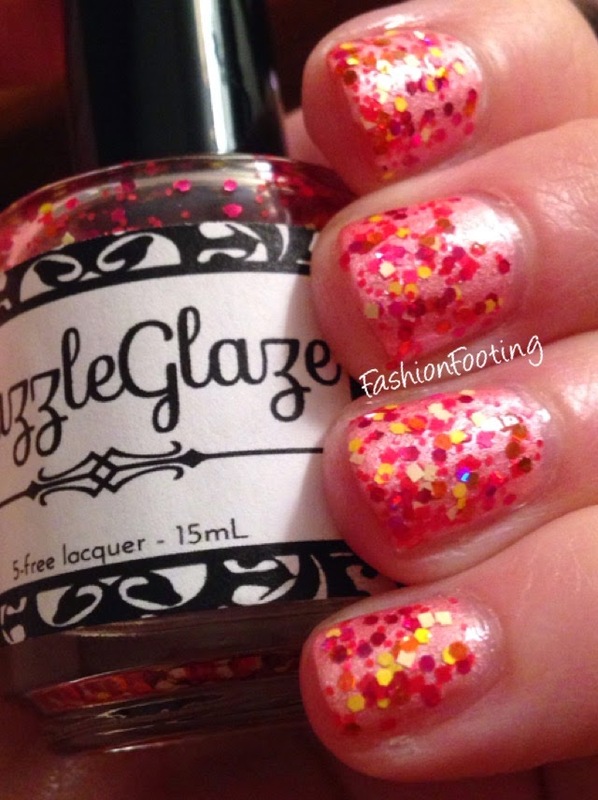 You can purchase DazzleGlaze on Etsy. They also have rhinestone phone accessories, which I will be checking out because duh. Rhinestones!